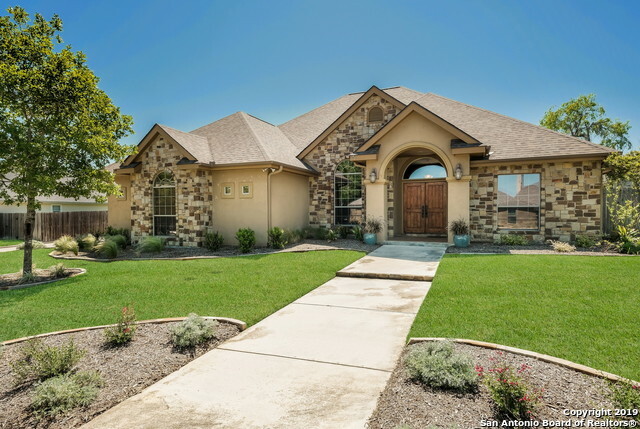 All SILVERADO HILLS homes currently listed for sale in San Antonio as of 04/22/2019 are shown below. You can change the search criteria at any time by pressing the 'Change Search' button below. 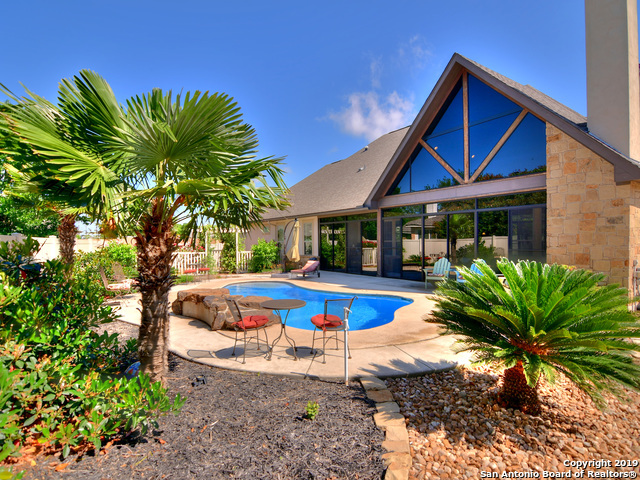 "This stunning well maintained & conveniently located home is in the heart of La Vernia. Gorgeous upscale custom rock, 4BR/2.5BA & office. Foyer Leads you past the office & into the open floor plan w/ high ceilings, stunning feature wall & light fixtures. Custom kitchen w/ large island, beautiful alder cabinets, lots of windows overlooking an inviting in-ground pool in a beautifully landscaped private backyard. Exterior boasts new sprinkler system, new yard lighting & a BBQ area. New roof. It's a"
"Former model home with upgrades already included. A beautiful home for a growing family there is room for everyone. One owner - 4 bedroom, 2.5 bath w/additional game room & formal dining. Ceramic tile, 42' cabinets, wood laminate flooring downstairs & all carpet upstairs. SS appliances, granite counter tops. Double vanity & separate shower & garden tub make this master suite truly memorable. Upstairs large game room & 3 additional bedrooms. Covered back patio." "Original owner has maintained and upgraded this lovely home. Granite counters in the kitchen with 2 dining areas. 3 family living areas with 4 bdrms and 2 1/2 baths make this an ideal family home having ample space for all. Great back yard entertainment with covered patio and an awesome green belt. Includes a great neighbor hood park for the total family amenity package to enjoy. Location has great proximity to Lackland AFB, shopping centers, and dining. Come & see how comfy and spacious this"